Choreographer Nicolo Fonte will kick off an intense few weeks with back to back premieres for Philadelphia's BalletX and Nevada Ballet Theatre, based in Las Vegas, starting with a preview of his new "Steep Drop, Euphoric" at the Vilar Performing Arts Center in Beaver Creek, Colorado. "Steep Drop, Euphoric", Fonte's most recent commission for the dynamic BalletX (following on his full-evening works "Beautiful Decay" and "Beasts") is a thrillingly high-energy full company work, with music by Ezio Bosso and Olafur Arnalds, costumes by Christine Darch, and lighting by Mark Stanley. BalletX will perform one night only at the Vilar Performing Arts Center February 9th, in a show facilitated by Damien Woetzel and in collaboration with the Vail Dance Festival. The world premiere of "Steep Drop, Euphoric" will take place at the Wilma Theater in Philadelphia March 6, 2019. Sandwiched in between the BalletX preview in Beaver Creek and premiere in Philadelphia, Fonte will make time for the premiere of his first ever commission in Las Vegas: "Crane/ing" for Nevada Ballet Theatre. "Crane/ing" is a dance to composer Donnacha Dennehy's powerful and intense score Crane, and although the composer's inspiration was mechanical cranes, Fonte has looked to the feathered variety for his own inspiration. The choreographer has pointed to the fiercely bird-like and poetically delicate nature of Dennehy's music as a starting point for this new work that juxtaposes boldness and intimacy of both gesture and movement. "Crane/ing", with costumes by Fritz Masten and lighting by Peter Jakubowski will have its World Premiere at the Smith Center for the Performing Arts in Las Vegas, Nevada on Feb 16. Nicolo Fonte's 2018-2019 performance season opens with "Love's Lost Idols" for Astana Ballet in Kazakhstan on November 2nd. This is Fonte's first work for a dynamic group known as one of the leading companies in the Republic of Kazakhstan; the primary aim of the theater is to both develop the art of Kazakh ballet and to create new works that include bold ideas and forms - which is why they have chosen to commission this new work from Fonte. Working again with frequent collaborators Christine Darch (costumes) and Michael Mazzola (lighting), Mr. Fonte is inspired by a wish to celebrate the powerful and exhilarating 'dancer' - the dancer that lives for the moment on stage, the moment in which s/he transforms her/himself into something extraordinary and perhaps heroic - even if only for one moment. With music by Ezio Bosso that Fonte describes as comparable to one's inner light searching to finally be freed - "Love's Lost Idols", a work for 10 dancers, is a lyric meditation on accepting the impermanence of everything, including oneself, and a celebration of the here and now. Tackling the iconic score of Carl Orff's 20th Century masterpiece "Carmina Burana" is next on Nicolo's busy agenda. A co-production between Ballet West (where he is Resident Choreographer) and Cincinnati Ballet, this new "Carmina" features a cast of 21, and an on stage chorus of 75 "floating" above the action. Created on both companies during separate residencies in Salt Lake and in Cincinnati, Fonte has envisioned a setting for this work that can be likened to a medieval etching blasted with 21st Century speed. "Carmina Burana" premiered first in Salt Lake City on November 3, 2017 at the Capitol Theater. Cincinnati Ballet will now have its own premiere of the work February 8-11, 2018 at the historic and fully renovated Cincinatti Music Hall with the added attraction of the spectacular voices of the May Festival Chorus. For more information please visit cballet.org! BalletX, Philadelphia's Premiere Contemporary Ballet Company, kicks off its 12th Season with a revival of Nicolo Fonte's stunning and gut-wrenching "Beautiful Decay". First premiered in 2013, Beautiful Decay has been described as a "masterpiece" and "a witty and sophisticated meditation on the passing of time" and is a highly anticipated event in the Philadelphia dance season. 12 performances at the Wilma Theater November 29 - December 10 will include not only the originators of the elder dancer roles, Birgitta Herrmann and Manfred Fischbeck (legends in the Philadelphia modern dance world as co-founders of Group Motion Dance), but also Brenda Dixon Gottschild and Hellmut Gottschild, themselves well-known figures in town. The two casts alternate in the crucial counter-point to the athletic and powerful dancing of the entire BalletX company in a work that drew raves in its original production. "Beautiful Decay" features original set design by Mimi Lien (Tony Award Winner, 2015 MacArthur Fellow), lighting by Drew Billau, costumes by Martha Chamberlain, and music selections from Vivaldi's The Four Seasons, Max Richter, and Ólafur Arnalds. For more information go to BalletX! Tackling yet another iconic score, Carl Orff's 20th Century masterpiece "Carmina Burana", is next on Nicolo's agenda for this busy fall season. A co-production between Ballet West (where he is Resident Choreographer) and Cincinnati Ballet, this new "Carmina" features a cast of 21, and an on stage chorus of 75 "floating" above the action. Created on both companies during separate residencies in Salt Lake and in Cincinnati, Fonte has envisioned a setting for this work that can be likened to a medieval etching blasted with 21st Century speed. "Carmina Burana" premieres first in Salt Lake City on November 3, 2017 at the Capitol Theater - Cincinnati Ballet has its own premiere of the work scheduled in February 2018. There are few pieces of American music more iconic than George Gershwin's "Rhapsody In Blue" - Nicolo Fonte kicks off the 2017-2018 Season with a new "Rhapsody" for Oregon Ballet Theatre, conceived together with the leader of the quintessential Portland band Pink Martini, Thomas Lauderdale. Paired with this creation, OBT revives the 2014 Fonte/Lauderdale collaboration "Never Stop Falling (In Love)", which features the entire Pink Martini crew and their beloved vocalist China Forbes on stage with the dancers to some of the best known songs from the Pink Martini catalogue. For more information on OBT's production of "Rhapsody In Blue" click here. Ballet West returns to The Joyce with a program including Fonte's riveting "Fox on the Doorstep" October 11 - 14, 2017. For more information on Ballet West's "Fox on the Doorstep" click here. And watch San Francisco Ballet's Livestream on World Ballet Day featuring Ballet West dancing "Fox on the Doorstep", October 5th between 3-4pm Pacific Daylight Time. Nicolo Fonte, Resident Choreographer at Ballet West since 2012, will premiere his latest work for the Salt Lake City ensemble, "Fox on the Doorstep", on May 19th as part of the inaugural performances of the Ballet West National Choreographic Festival. This new work, for 12 extraordinary dancers chosen from the Ballet West roster of artists, is the fourth world premiere work to be commissioned by Ballet West, and the seventh Fonte ballet to become part of Ballet West's repertory. The enigmatic title of this new work alludes to real life phenomena - episodes or moments that bring us into intimate connection with a spiritual plane that can punctuate and give deeper meaning to emotional states already being experienced. By turns explosive, sorrowful, and elegiac - "Fox on the Doorstep" showcases Fonte's unique gift for unifying classical ballet technique with both a theatrical flair and an undeniably resonant emotional core. It follows closely on the heels of the hugely successful "Ghost Stories", premiered last month by Pennsylvania Ballet in Philadelphia. The National Choreographic Festival marks Ballet West's very first performances in the brand new Eccles Theater, a new 2500 seat venue in the heart of downtown Salt Lake City, and Fonte's world premiere will be the first new work to premiere there. In "Fox", Fonte pairs once again with David Heuvel (costumes) and for the first time with noted lighting designer Jim French. Music for the work is by Olafur Arnalds, Harry Excott, and Johan Johannsson. Following on the success of "Grace Action" (2015), Fonte's 1st work for the Philadelphia based Pennsylvania Ballet, Nicolo is set to premiere \Ghost Stories" on the company that famed ABT legend Angel Corella now leads with aplomb. When the company performed Fonte's earlier work at The Joyce Theater in New York last season, NY Times chief dance critic Alastair Macauley said: "Grace Action by Mr. Fonte closes the program and was the company's greatest hit with the audience... Mr. Fonte's dances are very easy on the eye, and this is the finest work I have seen by him." The excitement generated by that work is surely one of the reasons that Corella has invited Nicolo back. In fact, Philadelphia has become something of a hub of Fonte-generated work, with commissions over the last 4 years coming not only from the city's flagship classical ballet company but also from the younger upstart BalletX, founded by former PA Ballet dancers Christine Cox and Matthew Neenan. To date, Fonte has created 2 highly successful full-evening works for BalletX: "Beautiful Decay" in 2013 and "Beasts" in 2015. "Ghost Stories", with music by Max Richter and Ezio Bosso, reunites the creative team behind "Grace Action" - including lighting by Brad Fields and costumes by Martha Chamberlain. The premiere at Philadelphia's Merriam Theater is on April 6, 2017 and performances run through April 9. Nicolo Fonte begins the 16-17 performance season with a bang: "Love-Notes", to music by the legendary Nina Simone, will receive its world premiere danced by Tulsa Ballet at the Studio K performance venue in Tulsa, Oklahoma on September 16. Inspired by the intimacy of the venue, Fonte chose music by an icon of American popular music and an artist whose voice can embody the extremes of joy and desolation to create a work that is equal parts high energy & vulnerability - with an edge. This is Nicolo's 4th time working with the artists of one of the country's most dynamic ensembles. For more information on "Love-Notes" click here. On October 8th, at the Keller Auditorium in Portland, OR - Oregon Ballet Theatre will present "Giants Before Us" - Fonte's 1st work for the company since being named Resident Choreographer. This will be his 6th work for the company overall. In "Giants Before Us" Nicolo is teaming up with acclaimed concert pianist and Portland native Hunter Noack, who joins the cast of 9 men and one lone woman on stage to play muscular yet tender works by Franz Liszt. Theatrically bold, yet anchored by a robust dance vocabulary, this new creation by Fonte is the closing ballet on a triple bill that includes George Balanchine's seminal "Serenade" and William Forsythe's ground-breaking "In The Middle, Somewhat Elevated". For more information on "Giants Before Us" click here. Finally, on November 6th Ballet West (where Fonte is also Resident Choreographer, since the 2012-2013 season) will travel to Cuba to participate in the Gala of the International Dance Festival of Havana. The Salt Lake City company is one of only a handful of American companies to be invited to perform in Cuba and will have the honor of introducing the work of Nicolo Fonte to the Cuban people with his 2013 work "Presto". Oregon Ballet Theatre has named Nicolo Fonte to the position of Resident Choreographer starting from the 2016-2017 Season. Fonte, who has held the same position at Ballet West since the 2012-2013 Season, adds OBT as yet another company with whom he will have an ongoing relationship. Oregon Ballet Theatre has stated it is excitedly looking forward to mining Fonte's richly varied talent for years to come. Nicolo joins the company at a time of tremendous growth and plans include one 'marquee' work by Fonte per season. Since Irving's arrival in 2013, he facilitated the completion of the sale of OBT's former home and has moved the company to beautifully renovated studios in the up and coming South Waterfront district. The company opened its school's first satellite location and completed the year with record ticket sales. The future is bright for the Rose City's premiere dance ensemble as it continues to add performances and launch new initiatives - adding Fonte to the artistic team is further sign of the company's growth and ambition. In the Fall Series of its 10th Anniversary Season, Philadelphia powerhouse BalletX presents Nicolo Fonte's latest full-evening work for the group, "Beasts". Following on the incredible success of 2013's "Beautiful Decay", BalletX has once again invited Fonte to let his imagination take flight and the resulting work promises to be an experience to remember. Reuniting with his frequent scenic designer Mimi Lien, (recipient in September 2015 of a MacArthur Foundation Genius Award), Nicolo has created a two act work that is a highly ambitious blending of dance, theater, ideas, and philosophy - grounded in the fluidity of classical ballet and yet drawing on a wide range of movement, including social dance, to tease out themes basic to the experience of human nature. Returning to BalletX for a second time in three years, and after the wildly popular "Grace Action" that premiered at The Pennsylvania Ballet this past May - Nicolo feels extremely welcome to Philly and is excitedly looking forward to this next chapter in the City of Brotherly Love. Performances of "Beasts" at the Wilma Theater in Philadelphia run from November 18-22. "Grace Action" will receive its New York premiere at The Joyce Theater in March, 2016. A new production of "Beautiful Decay" will premiere at Oregon Ballet Theatre next April, 2016 - in Portland. Flashback Fall 2012: Nicolo creates "Muse" for Vancouver-based Ballet BC to great acclaim. One audience member particularly inspired by the work is a young Canadian filmmaker named Jason Karman who decides he absolutely wants to capture the central duet for two males on 3D film. Flashforward Summer 2015: After numerous rounds of grant submissions, Karman secures funding for an intense 3-day film shoot to create what will be an original 3D film. During the intervening period of time, Nicolo has created a new and wholly captivating duet, again for two men, as part of his collaboration with Oregon Ballet Theatre and the iconic Portland "little orchestra" Pink Martini. This new duet, originally set to the Berceuse by Frederick Chopin, is now the basis of the film - starring two dancers from Oregon Ballet Theatre, Chauncey Parsons and Avery Reiners. For a look at the filmmaking process, have a look here Jason Karman anticipates an early 2016 release date. Salt Lake City Weekly magazine recently published its "Best Of" for the 2014-2015 artistic season and named the Ballet West performances of Nicolo Fonte's "Almost Tango" as the Best Dance production of the year! "Almost Tango has the precision and technique of the best ballet, the seething sensuality of the most passionate tango and the experimental composition of modern dance. In all of the above aspects, it succeeds. An especially courageous touch was the addition of dancers obscured by a screen and elevated above the stage. It could have detracted from the movement on stage but instead added intensity and depth to the work." Congratulations to Ballet West for this well-deserved acclaim! The start of the 2015-2016 Season has begun for choreographer Nicolo Fonte with initial rehearsals for next spring's production of "Beautiful Decay" (originally created for BalletX in 2013) with Oregon Ballet Theatre in Portland, and a high-energy creation for the talented dancers of Ballet West II set to songs by Janis Joplin. Fonte, Resident Choreographer at Ballet West since 2012, has long wanted to work with the Salt Lake City troupe's younger ensemble and in this, his first work for them, has unlocked the raw power and exuberance of these dancers in a very rock & roll esthetic. "Piece of my Heart" premieres next April, as does the OBT premiere of "Beautiful Decay". Nicolo is working with Pennsylvania Ballet for the very first time, creating a new work to debut at the Merriam Theater in Philadelphia on June 11th, 2015. It's an exciting time at Pennsylvania Ballet, in its first season under the directorship of famed dancer Angel Corella, and Fonte has said that it is an invigorating atmosphere that has stimulated his creativity from the very start. "Grace Action" is a work for 12 dancers including principals, soloists, and corps de ballet- to music by the iconic American composer Philip Glass. Glass's music, both grand and intimate at the same time, inspired in Fonte a desire to create a dance about answering absence with presence, about seeking wholeness. In Nicolo's words: "Even in its most abstract forms, dance allows for an expressive language to emerge and I wanted this language to be rooted in the natural elegance of the dancers and for them to find grace, even in difficult actions." This ballet reunites Fonte with longtime collaborator Brad Fields (lighting) - with whom he has created outstanding work for The Göteborg Ballet (Sweden), Houston Ballet, and Cedar Lake Contemporary Ballet, among others - and with costume designer Martha Chamberlain. Chamberlain, a native of Philadelphia, last worked with Nicolo on his full-evening ballet "Beautiful Decay", created for Philadelphia's BalletX. Performances run through June 14. Yahoo is hosting the exclusive streaming of this moody and atmospheric take on "Hey Eugene", originally part of the Oregon Ballet Theatre production of "Never Stop Falling (In Love)" - which featured Portland's iconic Pink Martini on stage with the dancers in a production which had audiences on their feet and cheering last October. BALLET WEST PREPARES TO ALMOST TANGO! This spring Ballet West goes deeper with its Resident Choreographer Nicolo Fonte, as it adds his powerful "Almost Tango", first created for Pacific Northwest Ballet in 2002, to its repertory. This work, one of Fonte's most enduring, earned huge critical acclaim when it debuted and also landed on Dance Europe's "Best Premieres" list in 2005 when The Australian Ballet performed it. With a cast of 10 men and only 4 women, Fonte delves into the dynamics and raw masculine energy that shaped Argentina's most famous export with equal parts poetry and punch. "Almost Tango" premieres at The Janet Quinney Lawson Capitol Theater on April 10 with performances running through April 19, 2015. Before Ballet West gets to "Almost Tango" however, they will feature Fonte's 2014 "Presto" on a mixed-bill repertory program at The Joyce Theater - in the company's first full season in NYC March 25 - 29. "Presto" - created originally as a 'piece d'occasion' - was so successful and so highly esteemed, that it has since become part of Ballet West's repertory. It will receive its official Salt Lake City debut during the annual Innovations program at The Jeannélet Wagner Theatre in May. Nicolo Fonte renews his relationship to New York Theatre Ballet this week with the premiere of his "There, And Back Again" - a work commissioned by the famed chamber ballet company. This work, Fonte's third for the company New York Times critic Alastair Macauley calls "indispensable", features a commissioned score by Kevin Keller and is inspired by the Grimm Brother's well-known story Hansel and Gretel. Specifically not a dance for children, Fonte takes the story and turns it into a dance of deception, perseverance, ingenuity, and home-coming. New York Theatre Ballet is making its debut at New York Live Arts (the downtown NYC venue formerly known as Dance Theater Workshop) with this program titled "Legends and Visionaries". Performances run February 18 - 21. Nicolo's first work for NYTB, "A Secret Somewhere" was created in 1997 and marked his very first commission for a company other than one he danced in - as such he has a special place in his heart for this dynamic troupe. October will be a busy month for Nicolo Fonte: in addition to his extremely high-profile premiere celebrating Oregon Ballet Theatre's 25th Anniversary ("Never Stop Falling (In Love)", Tulsa Ballet will become the 5th company to premiere his popular "Bolero" when it opens its Fall Season at the Tulsa Performing Arts Center on October 31st. "Bolero" was last seen just 2 months ago in Brisbane, Australia when Queensland Ballet became the second flagship Australian ballet company to acquire a work by Fonte - following the lead of The Australian Ballet, which has performed both Fonte's "Almost Tango" and "The Possibility Space". This will be Fonte's second production for Tulsa Ballet; Axis Mundi premiered in May of 2013. But before Fonte gets to Tulsa, he will be present as Aspen Santa Fe Ballet, with whom he has been associated for over 14 years, takes his latest work for the company "The Heart(s)pace" to The Joyce Theater in New York City. When the work first premiered, on Valentine's Day 2014 - Fonte said it was, in sense, a love letter to the company and to the audience that supports it, a warm and exuberant statement of appreciation from the choreographer to the ensemble and community that has supported his artistic perspective for over a decade. Since then, the work has gone on to wow audiences wherever the company's extensive touring has taken it. Aspen Santa Fe Ballet performs at The Joyce October 22-26. In his first creation for Oregon Ballet Theatre since Artistic Director Kevin Irving took the reigns of the Portland-based company 1 year ago, Nicolo Fonte is in the hot seat: his creation "Never Stop Falling (In Love)" will be the capstone to OBT 25 - the program celebrating the company's 25th Anniversary. This large-scale work, featuring 18 dancers, will have a distinctly Portland flair for Fonte is collaborating with the iconic and inimitable band Pink Martini, who will appear live on stage at every performance this October. Band leader Thomas Lauderdale and Fonte have combed through the archives of the group's many recordings to come up with a set list that both includes and re-imagines some of the "little orchestra"'s most well-known songs, along with some completely new material, creating a musical and theatrical journey that is by turns, explosive, delirious, gut-wrenchingly touching, and ultimately life (& love!) affirming. Adding to the Portland-centric nature of this celebration, Fonte has also brought in Portland native Michelle Lesniak, winner of Season 11 of the reality TV series Project Runway, to create costumes that exploit the party atmosphere of OBT's 25th Anniversary as much as Lesniak's signature irreverent and inventive approach to fashion. Rounding out the artistic team is Fonte's frequent associate Michael Mazzola, who is the scenic and lighting designer. "Never Stop Falling (In Love)" premieres on October 11th at The Keller Auditorium in Portland, Oregon - with performances through October 18. This April will be a busy month for choreographer Nicolo Fonte: on April 11th 2014, Ballet West will premiere Fonte's new "Rite of Spring", and the very next week Royal Ballet of Flanders revives Nicolo's riveting and powerful "Made Man", from 2010. Fonte has been Resident Choreographer at Ballet West for just over 1 year, and this new Rite marks his first large-scale production for the company - following the quartet Presto, which premiered last October at Chicago's Auditorium Theater. Interestingly for followers of Fonte's career, this is his second take on the iconic Stravinsky score; in 2006 he created The Waiting for The Göteborg Ballet in Sweden. This time around, Fonte has said he wanted to "liberate himself" from the accumulated history of the work (including his own) and instead focus on the DNA of the music. Still, the inherent sense of ritual and the primitive nature of the score has elicited a powerful response from Fonte in what promises to be a daring and thrilling major new work for the Salt Lake City-based Ballet West. Fonte is collaborating with frequent partner Michael Mazzola (lighting, decor) as well as David Heuvel (costumes); the premiere is at the Janet Quinney Lawson Capitol Theater in SLC on April 11th, 2014. Performances continue through April 19th. Immediately following the Ballet West premiere, Nicolo will jet over to Antwerp to oversee the revival of his "Made Man" at Royal Ballet of Flanders, which will take place on April 16th 2014. This work was greeted with unanimous praise and roaring ovations when it premiered in 2010. Critic Bert Hertogs referred to Fonte's ballet as a "PHE-NO-ME-NAL presentation of a thrilling and exciting choreography" so it is not hard to understand the excitement at RBF as it prepares to present this ballet for 12 men and 1 woman again. "Made Man" was the 4th collaboration between Nicolo and the Royal Ballet of Flanders in a connection to the flagship Belgian company that has transcended the changes in artistic leadership from Robert Denvers to Katherine Bennets and, most recently, to Assis Carreiro. Performances of Made Man, at the Opera Houses of both Antwerp and Ghent continue through May 11th 2014. The relationship between Nicolo Fonte and Aspen Santa Fe Ballet goes back 14 years, and this Valentine's Day the in-demand contemporary company will proudly premiere an incredible eighth creation from Fonte! Over the years ASFB has built its reputation and success on a repertory of works by some of the most dynamic creators of dance, touring both nationally and internationally, and no single choreographer has impacted the identity of the company more than Mr. Fonte. Since the premiere of Everyday Incarnation in 2000, Nicolo's work has been a part of virtually every ASFB season. This new work, "The Heart(s)pace", with music by Ezio Bosso, full of exhuberance and warmth, showcases the deep connection Nicolo feels with the dancers of Aspen Santa Fe Ballet, and with the audience that directors Tom Mossbrucker and Jean-Phillipe Malaty have cultivated for the company. "The Heart(s)pace" premieres at the District Theater in Aspen on February 14 and will be seen on tour this spring in Laguna Beach, California, Purchase, New York and Princeton, NJ - as well as at the company's second home in Santa Fe New Mexico at the historic Lensic Theatre. BALLET WEST PREMIERES 1ST NEW WORK FROM RESIDENT CHOREOGRAPHER NICOLO FONTE: "PRESTO"
In performances at Chicago's famed Auditorium Theater on Sunday October 6, Ballet West will unveil its first new work by Resident Choreographer Nicolo Fonte since his appointment to that post last season. "Presto", with music by the very much in demand Italian composer Ezio Bosso, is an edgy yet passionate quartet for 2 principal dancers and 2 soloists, and marks the first new work Nicolo has created for Ballet West since his "Immeasurable Cadences Within" from 2009, although the company has had great success with his "Bolero", which it performed in both 2011 and 2012. Nicolo created "Presto" at the same time that he was hard at work on his new "Rite of Spring", which Ballet West will premiere on April 11, 2014 in Salt Lake City. Ballet West has recently gained much media attention as the setting for the CW reality series "Breaking Pointe", and its appointment of Nicolo Fonte as Resident Choreographer was an important step in its development. You can read the original press release on Nicolo's appointment here. Rehearsals begin this week in Philadelphia for "Beautiful Decay", Nicolo's first full-evening work to be presented in the US, which has been commissioned by Ballet X. This two-part evening promises to be both theatrically daring and poetic, as Nicolo draws inspiration from a variety of sources all alluding to the ways that potency, power and vitality can be expressed in different ways at different points in life. A series of striking 3-D photographs by Mark Golebiowski of exotic, colorful flowers long severed from the soil that nurtures them captures the enigma of a life force still present and full of beauty, even long after the "living" phase has past. These photographs will be on view in the lobby theater for the run of the work. Musically, the work is grounded in the first half by Vivaldi's well-loved The Four Seasons, and in the second by contemporary composer Ólafur Arnalds' electronic infused neo-classical music that blends a punk sensibility with an ambient music openness. Alongside the talented young dancers of Philadelphia's Ballet X, will be two elder dancers of great renown in that city, Birgitta Herrmann and Manfred Fishback - a collaboration that is sure to inspire Nicolo in new and unthought of ways. Also collaborating with Nicolo on this project is set designer Mimi Lien (with whom Nicolo created his "Petrouchka" for OBT in October of 2012), costume designer Martha Chamberlain, and lighting designer Drew Billiau. Performances, at the Wilma Theater, run July 10-14. Nicolo returns to Tulsa Ballet after a ten year absence, and begins work this week on a new creation for the dynamic "miracle company" of the American midwest. Tulsa Ballet has won praise for a remarkable repertory that spans from full-length 19th Century classics to contemporary masters and new choreographic voices, as well as for its consistently high standard of performance. This new work, as yet untitled, will premiere in Tulsa on May 3 of this year; Nicolo is using a collage of contemporary compositions by John Adams, Kevin Keller, Philip Glass and English composer Greg Haines - who has re-written one of his works specifically for this occasion. Nicolo is also gearing up for his summer 2013 collaboration with Ballet X in Philadelphia - his first ever evening-length work created for an American company. Watch for more news on that exciting commission coming soon. Nicolo's latest creation, "Muse", for Ballet BC, receives its premiere on Thursday November 22 at the Queen Elizabeth Theater in Vancouver. Working with a large cast of dancers from this very talented group, Nicolo has made an energetic and hopeful 25 minute work with a striking theatricality. Fonte's choreography has not been seen in Canada since Ballet BC presented his "Like You" in 2005, and he is especially thankful (the premiere date coincides with the American Thanksgiving holiday) to have been able to collaborate with such a wonderful group of dancers and the organization put together by Artistic Director Emily Molnar. Music collage by David Lang, Raz Mesinai and Marcelo Zarvos, costumes by Kate Burrows with Nicolo Fonte, and lighting design by James Proudfoot. Performances run through the weekend. Ballet West is set to open its 2012-2013 season at the Capital Theater in Salt Lake City this weekend with a series of performances anchored by Nicolo's "Bolero", first performed by the company in 2011. After a special pre-season gala in late October, in which "Bolero" brought down the house, the company's regular season starts off in the company's home theater with a triple bill of contemporary works and closes with the sure-fire audience hit. This marks the beginning of Nicolo's tenure as Resident Choreographer at Ballet West. Choreographer Nicolo Fonte starts rehearsals with Ballet BC in Vancouver Canada this week. This is the second time he will work with the popular Canadian company - they staged his "Like You" in 2005 - but the first since Emily Molnar took up the reins as director and turned the company's fortunes around. Nicolo is working a large cast of dancers for this as yet unnamed work and the premiere in Vancouver's stunning Queen Elizabeth Theater will be on November 22. Immediately following the premiere for Ballet BC, Nicolo will travel to Salt Lake City to be fetted as the newly designated Resident Choreographer of Ballet West at the Fall Gala, with the company once again performing his critically acclaimed "Bolero". Adam Sklute, Artistic Director of Ballet West, today announced Nicolo Fonte's appointment to the post of Resident Choreographer for Ballet West, beginning with the Company's 2012-13 season. "Nicolo's work is exciting, powerful, and thought provoking," said Ballet West Artistic Director Adam Sklute. "His choreography is also a natural fit for my Ballet West dancers. It was clear from the first time Nicolo worked with us that his use of line and torso, his musicality and stylistic quality melded perfectly with our company. My dancers adore working with him and I am excited to see what this close relationship will produce." Referring to his new appointment, Fonte said: "I am thrilled and honored to be given this opportunity to deepen my relationship with Ballet West, a company I truly admire and respect. Every time I have worked with the company in the past has been intensely rewarding, and I look forward to many more choreographic adventures in Salt Lake City!" In their debut performances at the Athens Festival, the Perm Tchaikovsky State Ballet will perform Nicolo Fonte's "Petrouchka" (created originally for OBT, in Portland, OR) on July 12, 2012. The performance will take place in the Alexandra Trianti Hall, part of the Megaron Theater complex, in the heart of Athens. This will be the first time Fonte's work will be performed in Greece. Nicolo Fonte's new work for Houston Ballet, "See(k)", will be given its premiere by the company on May 24th, 2012 at the Wortham Center Opera House in Houston. This is Fonte's first commission for the world-renowned company, and it puts his work alongside that of Mark Morris and George Balanchine in a program titled "Made in America". "See(k)" is set to a commissioned score by composer Anna Clyne, who is currently composer in residence with the Chicago Symphony Orchestra. Nicolo instigated this collaboration with Anna Clyne after previously incorporating two of her works in his 2010 ballet for The Royal Ballet of Flanders, "Made Man" - which was a huge success at its premiere. "See(k)" also reunites Nicolo with lighting designer Brad Fields, who has lit a number of Nicolo's most important ballets, including his full-length "Re:Tchaikovsky" for the Göteborg Ballet, "Rhapsody" for The Royal Danish Ballet and "The Possibility Space" for the Australian Ballet. On Friday May 18, 2012, The Perm Tchaikovsky State Ballet Company (in Perm, Russia) will present the European premiere of Nicolo Fonte's "Petrouchka", a work originally created for Oregon Ballet Theater in October 2011. The Perm company is the first in Russia to acquire a Fonte ballet and this premiere, in the city of Sergei Diaghilev's birth and as part of the annual Diaghilev Seasons Festival, is a great honor for Nicolo Fonte. The Perm Tchaikovsky State Ballet Company is set to bring this production of Fonte's ballet to the Athens Festival (Greece) this coming July. Fonte's "Petrouchka" was hailed by critics for its inventive contemporary retelling of a story that is, at heart, about becoming oneself. Stripped of its Shrovetide Fair-Russian theme, Fonte's work still retains references to the Fokine original, most especially through the lens of the central charismatic character of Petrouchka. Read reviews from the OBT production here. Nicolo has just arrived at the Perm Tchaikovsky Opera and Ballet Theatre (Russia) to begin work on the staging of his "Petrouchka", which premiered last October in Portland, Oregon. The original production for Oregon Ballet Theater received rave reviews during its initial run and now Nicolo is in Perm to oversee this new production of the ballet for a premiere in Russia on May 18th. As part of the theater's well-known Diaghilev Seasons Festival, Petrouchka will share the bill with Jiri Kylian's Svadebka (Les Noces), also a company premiere. Critical reception for Nicolo Fonte's new Petrouchka for Oregon Ballet Theater, which premiered October 8, have been overwhelmingly positive. Critic after critic has praised Fonte's radical reinvention of the Ballets Russes classic and applauded his daring approach to uniting an invigorated classical vocabulary with a contemporary esthetic, and for making a powerful connection with Stravinsky's iconoclastic score. Nicolo Fonte returns to Oregon Ballet Theater, where both his "Bolero" (created for the company in 2008, revived in 2010) and "Left Unsaid" (staged in Portland in 2009 and revived in 2011) have become audience and critical favorites, to create an entirely new version of "Petrouchka", the ballet that cemented the reputation of Stravinsky, Fokine and the Ballets Russes exactly 100 years ago. Mr. Fonte is approaching the work with an entirely fresh concept even as he retains the core relationships central to the original scenario of the ballet. Placing the simple story of a puppet with "too much life" - as Fonte puts it - in a highly abstract and yet fairy-tale like setting, Fonte honors the breath-taking audacity of the original work while still creating a dance that is thrillingly physical and contemporary in feeling. Performances of Fonte's "Petrouchka" take place at the Keller Auditorium in Portland from October 8-15. Nicolo Fonte travels to San Salvador on May 15 to conduct a week-long intensive workshop and to create a short piece for Compañía Nacional de Danza de El Salvador. Fonte is donating his time as well as the work he will create to this small but dynamic company and travels to El Salvador through the auspices of I-DANCE (Inspiring Dance: American Nations' Choreographic Exchange), a non-profit organization that brings American artists of stature to dance communities in Latin America with the goal of energizing these communities and fostering creativity all around. While in El Salvador Nicolo will teach artists of the company and also give a master class open to the general public. The work that will be created during this residency will have its premiere during the company's season in San Salvador at the Teatro Nacional in July of this year - details to be announced at a later date. Please visit the I-DANCE website to learn more about the organization sponsoring this artistic collaboration between Nicolo and the dancers of Compañía Nacional de Danza de El Salvador. In its newest feature, Dance Magazine's Online "Choreography in Focus" dedicates an entire installment to a conversation with Nicolo Fonte along with a look at his upcoming projects. Nicolo sat down to chat with Dance Magazine editor Wendy Peron in mid February and the subjects ranged from Nicolo's choreographic influences, to his own choreographic priorities, with great footage of his work with Aspen Santa Fe Ballet, Royal Ballet of Flanders and Oregon Ballet Theater. Don't miss this wonderful web-only exclusive! Nicolo Fonte's work will be performed for the first time ever in Israel when Aspen Santa Fe Ballet brings "Where We Left Off" to the Herzliya Performing Arts Center March 25 - April 2. Fonte's most recent creation for ASFB, to music by Philip Glass, had its world premiere just this past February and has already been joyously received by audiences in Aspen and Santa Fe. Nicolo Fonte's lastest creation for Aspen Santa Fe Ballet, "Where We Left Off", will receive its premiere on February 11 at the District Theater in Aspen, Colorado. This ballet is Fonte's 7th creation for the company with bases in both Aspen and Santa Fe (New Mexico) and follows on the heels of the company's hugely successful 2010 production of "In Hidden Seconds", which garnered enthusiastic reviews and rapturous audience response in cities across the country. "Where We Left Off", a work for the entire ASFB ensemble, is a return to basics for Fonte - a dance inspired by the breaking and crashing of the musical waves to be found in the piano works of Philip Glass, reflecting as well the ebb and flow of thought, feeling and emotion. Dance stripped to its essentials, gently optimistic and just slightly nostalgic - "Where We Left Off" is also Fonte's celebration of the sheer expressive power of movement. Houston Ballet, one of the pre-eminent dance companies in the US, has just announced its programming for the 2011-2012 season will include a commissioned work by Nicolo Fonte. The program, titled "Made In America", puts Fonte side by side with acclaimed choreographers George Balanchine and Mark Morris. The thematic device of this program echoes two previous occasions (both at Het National Ballet in Holland) that placed Fonte right in the same auspicious company - "Forsythe/Morris/Fonte" from 2007 and "In The Footsteps of Balanchine" from 2009. In fact, Nicolo's work is often programmed along with the acknowledged masters of dance in companies all over the world - and it is surely his good reputation that has motivated director Stanton Welch to bring him to Houston next season. The Financial Times of London has praised Welch's leadership of Houston Ballet, citing "a strong, invigorated company". In announcing the coming season, including the Fonte commission, Welch said "Artistically, we really feel we are at our boil". "Made In America" will premiere in May of 2012. Aspen Santa Fe Ballet began work this week on a seventh creation by Nicolo Fonte - another confirmation of the dynamic company's appreciation of Fonte's unique world of dance. ASFB was one of the first companies to commission Nicolo when he first began to choreograph and ever since that first creation in Aspen, "Everday Incarnation" the Colorado and New Mexico - based company has seen their investment in Fonte's work pay off with great reviews and intense audience appreciation. This newest work, to music by American icon Philip Glass will involve the entire company and is set to premiere in February of 2011. It follows the company's extremely successful production of Fonte's breakthrough work from 1999 "In Hidden Seconds", which the company continues to present on tour throughout the country. Reviews for the company's performance of this work were uniformly ecstatic, with reviewers expressing genuine excitement for the ballet's lyrical kinetic force and underlying emotional punch. The OBT revival of Bolero is Fonte's last production of a very busy 2009-2010 season - one that included creations for Les Ballets de Monte Carlo, The Dutch National Ballet and The Royal Ballet of Flanders as well as new productions of both "Bolero" at The Washington Ballet and "Cornered" at The Finnish National Ballet. Another highlight of this season was the Aspen Sante Fe Ballet premiere of his "In Hidden Seconds", from 1999. The company has been earning rave reviews for this emotionally subtle yet powerful work on their tours around the US this spring, including one in which the reviewer flat out begged for her local ballet company to acquire "several" of Fonte's works as, in her words, "His work is too important to be unknown to Philadelphia ballet lovers"! The roar of the audience that followed the premiere of Nicolo Fonte's latest creation for The Royal Ballet of Flanders, "Made Man" was yet another sign that this choreographer is connecting with audiences hungry for dynamic choreography that not only thrills but also provides food for thought. In his review of the performance, Belgian critic Bert Hertogs writes that "the intensity built so strongly from beginning to end that you could hear a pin drop in the Flemish Opera House." He also called the RBF performance of "Made Man" "PHEN-O-MEN-AL presentation of thrilling choreography." 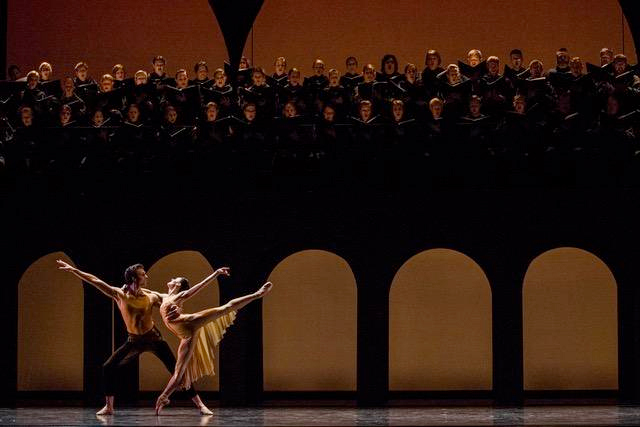 Next up: The Washington Ballet premiere of Fonte's "Bolero", created for Oregon Ballet Theater in 2008. Reviewers in Portland called Fonte's work "innovative" and "breath-taking" and also noted the "volcanic approval" of the public to this work - exactly the kind of response that greeted the choreographer when the curtain fell on "Made Man". The Washington Ballet can reasonably expect to generate the same excitement. Premiere April 15, The Harman Center, Washington DC, more info on www.washingtonballet.org. The Royal Ballet of Flanders performs "Made Man", a ballet for 12 men and 1 woman, at The Vlaamse Opera in Antwerp on the 19, 20, 21, 26, 27, and 28 of March. Nicolo Fonte's relationship with The Royal Ballet of Flanders dates back to "Like You" - created in 2002. "Violin Concerto" followed in 2004 and his most recent work for the outstanding dancers of Antwerp was "Cornered" in 2007. Each of these ballets has received subsequent restaging in North America and Europe- with The Finnish National Ballet premiering "Cornered" in May. It is easy to see why Aspen Santa Fe Ballet is excited to have the chance to give "In Hidden Seconds" its US premiere. Fonte and the dancers of ASFB have developed an especially close relationship over the past ten years and Fonte could not be happier to see this ballet interpreted by them as he celebrates a milestone in his choreographic career. The ASFB premiere of "In Hidden Seconds" will take place at The District Theater in Aspen on February 12. The company will perform the work in both its home cities and on tour throughout North America this spring. Dance International Magazine does an in depth interview with Nicolo in the Fall 2009 Issue. NICOLO FONTE RETURNS TO THE DUTCH NATIONAL BALLET WITH "RECORD OF JOY"
Choreographer Nicolo Fonte will premiere his second creation for The Dutch National Ballet on Thursday, September 10th at Amsterdam's Het Muziektheater. "Record Of Joy" is a ballet that takes its inspiration from the heavenly music of Ludwig von Beethoven and is for a cast of eight soloists and a corps of eleven women. Using the second movements from Beethoven's 2nd, 4th and 5th Piano Concertos, Fonte once again bridges the gap between what is classical and what is contemporary in dance by using a classical vocabulary in an expressive and sensitive manner that critics have called wholly unique. Part of a program called "In The Footsteps of Balanchine", Fonte's creation shares the bill with the master's "Stravinsky Violin Concerto" along with works by Hans Van Manen and Christopher Wheeldon and will be performed through September 19th. The Holland Symfonia will be conducted by Otto Tausk, with Olga Khoziainova as the piano soloist. Nicolo Fonte talks about the music he has chosen for his new choreography which Nicolo is making especially for Dutch National. Nicolo Fonte's first commission from Les Ballets de Monte Carlo will receive its world premiere at Les Terrasses du Casino de Monte Carlo in front of Monaco's Grand Casino, on July 14. In "Quiet Bang", with music by Alva Noto and Ryuichi Sakamoto, Fonte places the cast of nine dancers in a stark yet soft environment in which to explore the possibilities of movement without aggression, without violence. The themes of protection and salvation, always potent in Fonte's work, are here brought out in a touching and somewhat hopeful context. With only the barest hints of a narrative, Nicolo evokes the poetry of the senses and a longing to be at peace. Fonte is thrilled with the opportunity to work with some of the finest dancers in the world - his experience of collaboration with the cast of "Quiet Bang" is directly reflected in the DNA of the finished work. Performances continue in Monte Carlo through July 18th. Anyone's list of the most exciting and interesting choreographers working in ballet today has to include Nicolo Fonte, who keeps generating more and more buzz with each new production. 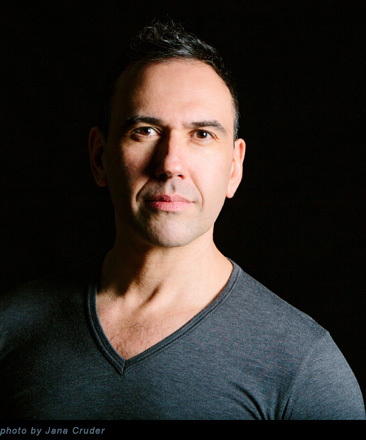 Nicolo is one of only a handful of choreographers whose work is consistently seen and produced by major companies in both Europe and the U.S. - consistently sharing bills with giants such as Balanchine, Forsythe and Kylian and creating works for a veritable host of companies around the world. Fonte's newest work, "The Immeasurable Cadences Within", for Ballet West, will premiere May 14 at the Rose Wagner Performing Arts Center in Salt Lake City. This dance for 12, to music for solo cello by Philip Glass, follows on the heels of Nicolo's hugely successful narrative ballet for North Carolina Dance Theatre, "Spellbound By Beauty" - inspired by the life and films of Alfred Hitchcock. That daring work, premiered in February, inspired critics to use the words "riveting" "gorgeous" and "extraordinary", and then pair them with "eerie", "creepy" and the phrase "causes the hair to stand up on your arms" - so you know something special has been created. After spending the entire winter/spring working with US companies, Nicolo returns to Europe in July to complete his first commission for Les Ballets de Monte Carlo and then, in September returns to the Dutch National Ballet for his second work there. Other upcoming productions in Europe include a fourth creation for The Royal Ballet of Flanders and a staging of "Cornered" for The Finnish National Ballet. Productions in the US for next season include OBT's revival of his hit "Bolero" from last year, a new production of the same work for The Washington Ballet and the staging of his break-through work "In Hidden Seconds" for Aspen Santa Fe Ballet. "In my quest for learning I have been fortunate enough to work with contemporary choreographer, Nicolo Fonte. When I first heard of Nicolo I was in my fourth season at Pacific Northwest Ballet, and the year was 2002. At the time I was a ripe, 21 or 22 years of age, and hardly open to anything outside the realm of classical ballet. I actually remember uttering the words, "I'd be happy just doing classical ballet for the rest of my career". Well, obviously a lot has changed since then, and honestly ANY dance form would work for me - as long as I am gaining something from it." A feature interview with Nicolo Fonte is in the new issue of Dance Europe, April 2009. The article discusses Nicolo's recent premiere in North Carolina, the highly acclaimed "Spellbound By Beauty" as well as his upcoming premiere for Les Ballets de Monte Carlo. Critics called Nicolo's work in North Carolina, which was inspired by the obsessions of Alfred Hitchcock, "extraordinary" and "riveting" - so it is not surprising that Dance Europe was so interested in hearing more about this noteworthy project. Fonte has been extremely busy of late - overseeing productions for Ballet Austin and Oregon Ballet Theater and at the same time he is preparing the work for Monte Carlo, his first commission for Jean-Cristophe Maillot's world-class company. That premiere is July 14th, 2009 at La Terrase, Monte Carlo. Nicolo Fonte is set to begin work on his first creation of the year, a commission to bring the obsessions and twisted worlds of Alfred Hitchcock to the stage for North Carolina Dance Theatre. The new work is part of NCDT's program A Night At The Movies, premiering in Charlotte on March 5th, 2009. Finding inspiration in three of the late master's most acclaimed films, Fonte is preparing a work that evokes the director's famous "need" to control and subsequently "destroy" his female leads. By weaving together story lines from "Vertigo", "Psycho" and "The Birds" Nicolo Fonte pays homage to the iconoclastic film-maker who was known for a wry sense of humor, impeccable technique and ruthless manipulation. In bringing this world to life Nicolo enlists the rich and memorable music of Bernard Herrmann, Hitchcock's frequent collaborator and one of the most acclaimed composers of cinema. With this new work audiences can expect the same combination of daring theatricality and the distinct approach to movement that sets Nicolo's work apart. FONTE'S 08-09 SEASON BEGINS WITH RAVES "DOWN UNDER"
The 08-09 ballet season has just begun but already American choreographer Nicolo Fonte has had his first successful premiere - "The Possibility Space", choreographed for The Australian Ballet. Critics hailed the beauty and power of the dancing as well as the fascinating emotional resonance of the ballet, set to a commissioned score by Australian Ross Edwards. (http://www.nicolofonte.com/index.php?m=reviews) This creation is just the first stop on Fonte's agenda for this season as he will be creating and staging works across the US and in Europe over the course of the coming year. Fonte is surely one of very few American choreographers living today whose work is regularly seen across such a wide expanse of the dance landscape. In the US Fonte will work for the first time ever with Ballet Austin and Ballet West this season -these are two companies that have been reinvigorated by the arrival of new artistic directors: Stephen Mills in Austin (since 2000) and Adam Sklute in Salt Lake City (in 2007). Ballet Austin is to premiere Fonte's sweet and quirky "Left Unsaid", while Nicolo is to create a new work for Ballet West. Fonte returns to both North Carolina Dance Theater (his third visit to Charlotte) and Oregon Ballet Theater this season as well. Fonte staged a highly successful production of his "Spoken In Red" for NCDT in 2002 and created "Brave" there in 2003. Nicolo's "Bolero" for OBT, which premiered this past February, was a huge success that elicited a "volcanic approval" from audiences there, according to press reports. OBT, like Ballet Austin, will be presenting "Left Unsaid". In Charlotte, Nicolo has been invited to create a new work that will be performed in a program series focusing on film; he has chosen as his starting point the obsessions and highly stylized drama of the world according to Alfred Hitchcock - taking special note of the films "Vertigo", "Psycho and "The Birds". Finally (for this brings him to July of 2009), Nicolo will create a new ballet for Les Ballets de Monte Carlo, one of the premiere dance institutions in the world. It is, to say the least, an exciting and action-packed season for Nicolo Fonte and one that is sure to win him more admirers around the world. Look for updates on all of Nicolo's current and future projects, including news on his return to both The Dutch National Ballet and The Royal Ballet of Flanders (in 2009 and 2010 respectively) by checking back often at this website! NICOLO IN MELBOURNE FOR THE AUSTRALIAN BALLET'S "INTERPLAY"
Nicolo Fonte is currently in Melbourne, Australia creating a new work for The Australian Ballet to be premiered on August 28th at The Arts Center State Theater. "The Possibility Space", for 10 dancers and to a commissioned score by well-known Australian composer Ross Edwards, is part of the "Interplay" program being presented by the Australian company in homage to the spirit of the Ballets Russes. The program of three commissioned ballets, each with an original score, will be presented until the 8th of September in Melbourne and at the Sydney Opera House from 6-25 November. This is Nicolo's 2nd time working with The Australian Ballet: his highly acclaimed "Almost Tango" was staged there in 2004 and received glowing reviews - even garnering a mention in Dance Europe's "Best of 2004" as one of the best contemporary premieres of that year. Nicolo is thrilled to be working with The Australian Ballet once again and feels that the company, under the direction of David McAllister, is wonderfully inspiring and hard-working. "The Possibility Space" is the choreographer's development of themes first explored by the composer in his composition called "To the Green Island". The evocative score, beautifully melodic and lushly romantic at times, is the backbone of Fonte's vision of both a harsh landscape and a transcendent spirit of invention; the force and heartbreak of creation. As always, Fonte primarily uses the language and the scope of dance - sheer, technically thrilling dance - in his abstract re-interpretation of Edwards' themes. Nicolo has said about the score, "Ross' music is so gorgeously expressive; each episode is like a world unto itself". Fonte also uses the landscape of the theater in a very precise way: he reunites, in "The Possibility Space", with Markus Pysall (costumes and decor) and Brad Fields (lighting) -to create the artificial world on the stage. Both designers worked with Fonte on his full-length "Re: Tchaikovsky" (2005) as well as on numerous other projects in Europe and in the US, so they are a well-knit team. In just 5 weeks' time the result of their collaboration will be seen by thousands of Australian dance-goers in both Melbourne and Sydney. The premiere of Nicolo Fonte's latest creation for Aspen Santa Fe Ballet will take place on July 12th 2008 at the Lensic Theater in Santa Fe, New Mexico and will then travel to the District Theater in Aspen, Colorado for a further 2 performances (July 17th & 19th). "Quartet", with music by Nine Inch Nails and Zoe Keating marks the first time Fonte is working with an all-male cast in this, his sixth creation for ASFB. Also for the first time, Fonte collaborates in "Quartet" with video artist Adam Larsen, whose credits include work on Broadway and with numerous dance companies. Frequent collaborator lighting designer Michael Mazzola also joins in the production team. Fonte has worked extensively with ASFB since his first creation in Aspen in 2000, "Everyday Incarnation". "Vertical Dream" (2001), "The Same Wall" (2002), "Left Unsaid" (2003), and "It's Not About The Numbers" (2006) have been performed frequently wherever ASFB has toured, both nationally and internationally. "This is a model of what a small classical company should be"
"Left Unsaid" will be staged next season at both Ballet Austin and Oregon Ballet Theater. CEDAR LAKE CONTEMPORARY BALLET REVIVES FONTE'S "LASTING IMPRINT"
"Lasting Imprint", premiered in January of 2006, receives its first revival by Cedar Lake Contemporary Ballet when the company opens its New York City spring season on June 2, 2008. Cedar Lake, one of the most exciting and dynamic dance companies in the USA, originally commissioned the work by Fonte as part of a program called "Dream Collaborations" - the mysterious and fiercely energetic dance for 9 dancers was hailed for its clarity and poetic subtext, as well as for the impact of the dancers' commitment to Fonte's visceral movement language. Thunderous applause and standing ovations at the Keller Auditorium performances of Nicolo Fonte's newest creation provided more proof that the internationally renowned choreographer is one of the dance world's "richest resources"1. Fonte's "Bolero", for Oregon Ballet Theater, was called "innovative"2, "dramaticand illuminating"3and "one of (OBT's) finest moments" 1 by dance critics in the local press, but the true jolt of energy felt in the hall at performances of the exciting new work was best expressed by the immediate reaction of the Portland audiences. In describing this reaction, The Portland Tribune referred to the "volcanic approval" of the public jumping to their feet at the first rise of the curtain at the ballet's end (a "breath-taking moment"1) - a description that captures the raw, almost primal response to Fonte's tour de force creation. Check back here for more information on Nicolo Fonte's upcoming projects and premieres! Internationally acclaimed choreographer Nicolo Fonte will unveil 2 new works within the space of five days later this month - for 2 American companies separated by 3000 miles. Fonte is working with both The Washington Ballet (based in Washington D.C.) and Oregon Ballet Theater for the first time ever, in a season that is already noteworthy for the choreographer's reintroduction to the American dance scene after many years based in Europe. On February 19 Fonte premieres a new work in The Washington Ballet's popular "7 x 7" performance series - contributing a short dance on the theme of love for one lone woman and three men, to music by Handel. Fonte juxtaposes the sacred quality of two arias (in a recording by counter-tenor David Daniels) with a light touch in this wry commentary in which he looks at love as "an accident waiting to happen". On a much larger scale, Fonte makes his debut with Oregon Ballet Theater on February 23 with a brand new "Bolero" to the well-known score by Ravel - the closing ballet in OBT's "France" program. The dynamic west coast company is sure to pull out all the stops in this powerful work for ten dancers. Fonte and his team have taken their inspiration for this new production from comments made by Ravel himself, preferring a ballet scenario with a somewhat more industrial setting reflecting the mechanical nature of the music - despite the romantic and obvious Spanish musical figures that predominate in what is certainly one of the most popular pieces of music ever composed. Nicolo Fonte's newest ballet, "Proximity Effect", is a work for Juilliard Dance which will premiere the 13th - 16th of December at the Peter Jay Sharp Theater at Lincoln Center. The ballet is a large-scale work for 16 dancers to music by Alexander von Zemlinsky - a part of famed conductor James Conlon's "Recovered Voices" project. Taking inspiration from the powerful energy in both the music and the talented young dancers of the Juilliard Dance Division, Fonte has created a complex world in a dance - a world that exploits both a playful and mysterious contentiousness that seemed to spring naturally from the situation during the working process - hence the title "Proximity Effect". James Conlon conducting all programs. NEW FONTE WORK FOR COMPLEXIONS CONTEMPORARY BALLET TO PREMIERE AT THE JOYCE THEATER IN NEW YORK. New York based Complexions Contemporary Ballet returns to The Joyce Theater for their annual visit this November 13 - 25 and will present a new creation by Nicolo Fonte in the first of their two programs. "Bound", a dance for one woman and two men set to music by Vivaldi and Handel, is Fonte's first collaboration with this dynamic contemporary dance company; New York audiences will have eight chances to see the exciting new dance. With "Bound" the acclaimed choreographer creates an intimate work with an atmosphere both introspective and beautiful, fluid and static, in which the dancers of Complexions are pushed to discover new facets of their dancing through Fonte's trademark movement qualities - what one critic referred to as a "shimmering, transcendental lightness (and a) strongly neoclassical choreographic style". Fonte's "Cornered" received a "rapturous response" at this year's edition of Fall For Dance according The New York Times. The "austere" work also impressed the reviewer, who remarked on the "excellent Flanders dancers, (they) capture the sculptural, angled lines of the choreography... (infusing) it with passion and energy." Fall For Dance, the hugely popular New York Dance Festival now in its third year at the City Center Theater in New York City will host the US premiere of Nicolo Fonte's recent creation for The Royal Ballet of Flanders, "Cornered" (in a moderately shortened version). Two performances on October 2 and 3 are scheduled, on a program that includes the New York City Ballet and Urban Bush Women, among others. These performances mark the company's US debut under the new direction of Kathryn Bennetts and will undoubtedly spark an interest in this phenomenal European group, which has commissioned three creations from the American choreographer since 2002, "Cornered" being the most recent. All tickets for the Fall for Dance Festival are $10 and go on sale on Sunday, September 9 at 11:00am. Aspen Santa Fe Ballet's revival of Fonte's 2003 ballet "Left Unsaid", performed in the famed music tent of the Aspen Music Festival on Monday, July 16th with virtuoso soloist Espen Lilleslåten had the capacity crowd of close to two thousand spectators roaring their appreciation of and delight in this finely crafted work for 6 dancers. The performance by the Aspen-based company, the first ever under the auspices of this prestigious annual event, was a high profile warm-up for an upcoming tour to Italy and Greece that will showcase Fonte's work in performances in four cities. This tour marks the first time Fonte's choreography, praised already by critics in Sweden, France, Holland and the USA, will be seen in the Mediterranean countries of Italy and Greece. "Fonte at his best - The choreography is inventive, creating expressive original shapes built on an undercurrent of implicit human relationships." "a choreographer worth knowing... Mr. Fonte's choreography is rich in implications"
Aspen Santa Fe Ballet has conspicuously embraced the work of Nicolo Fonte ever since their first commission, "Everyday Incarnation" in 2001. Since that time Nicolo has created five ballets for the company and is credited by directors Tom Mossbrucker and Jean-Phillipe Malatay for playing an extremely instrumental role in the company's ongoing creative development - a development that has now placed this relatively small group at the forefront of contemporary ballet in America. An established favorite with both dancers and audiences in the company's dual homes, Nicolo will return to make his sixth ballet for the company in May of 2008. In the meantime, audiences on the other side of the Atlantic can see why the company is so proud of their relationship with choreographer Nicolo Fonte at the performances listed below. The Dutch National Ballet will take part in this year's Holland Festival with a much anticipated evening of dance by American choreographers William Forsythe, Mark Morris and Nicolo Fonte. This is the first time Nicolo is creating for the world-renowned company that is Holland's premiere dance institution, as well as his first time sharing the billing with two of this century's most admired and talked about American choreographers - Forsythe and Morris. 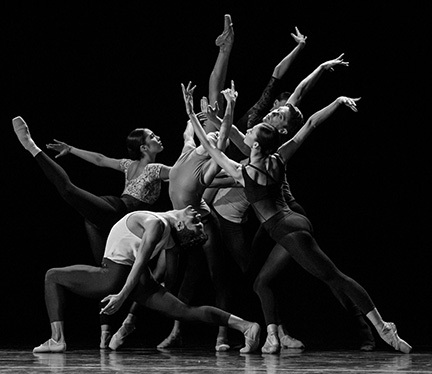 Fonte's work, titled, "(in) verse form" for ten of the company's soloist and principal dancers is anchored by American composer John Adams' energetic yet lyrical "Shaker Loops". The choreographer has described his approach to this ballet as a wish to create something exquisitely beautiful - but with an extra charge of electricity that only highly trained classical dancers can bring! In presenting Fonte's work alongside that of Forsythe and Morris, the Dutch National Ballet is giving its audience the chance to get to know a new voice in American choreography. NICOLO FONTE'S "CORNERED" PREMIERES IN ANTWERP, BELGIUM ON APRIL 14TH, 2007 WITH THE ROYAL BALLET OF FLANDERS. After a successful "Rhapsody", the rock n roll inspired work made for The Royal Danish Ballet which has had audiences in Copenhagen cheering since its premiere last month, Nicolo Fonte is moving to a completely different kind of rhythm in Antwerp with The Royal Ballet of Flanders. In "Cornered", to music by Ross Edwards, Gavin Bryars and Philip Glass, the choreographer creates a stark and emotionally riveting work for eight dancers that is suffused with a delicate beauty. Working with one of the most dynamic companies in Europe for the third time, Fonte places the emphasis on pulse-quickening duets in "Cornered", thrilled to be developing this intense work with such talented artists. Go to www.koninklijkballetvanvlaanderen.be for further information. "AMERICAN MIXTURE" BRINGS NICOLO FONTE TO THE ROYAL DANISH BALLET. Choreographer Nicolo Fonte unveils his latest work "Rhapsody" at The Royal Opera House in Copenhagen on March 17, 2007. This commission from one of the world's oldest existing ballet companies unites Fonte's acclaimed risk-taking theatricality with music from one of Denmark's best known rock artists: Kira. Fonte places Kira and her band The Kindred Spirits on stage with 12 of The Royal Ballet's most energetic and charismatic dancers in a live performance that is full of all the raw emotion and dynamic force found in the band's music. Costumes by top Danish designer Mads Nørgaard maintain the line of hard-edged sensibility combined with high-level craft. The 12 performances in the house of Bournonville are sure to be a highlight of the spring season of culture in the Danish capital. Go to www.kglteater.dk for further information. Aspen Santa Fe Ballet returns to New York City's Joyce Theater for the third time January 23 - 28, 2007 and will once again feature an original ballet by Nicolo Fonte - "It's Not About The Numbers". Since 2000 Nicolo has created 5 works for this dynamic dance company; his trademark fluid and physical dance language is an excellent match to the prowess of these magnetic dancers - The New York Times' Jack Anderson wrote that Fonte is "a choreographer worth knowing" after seeing his "Left Unsaid" performed by ASFB at the Joyce Theater in 2005. Check out the January edition of the US-based Dance Magazine for a photo essay on Aspen Santa Fe Ballet and their performances of Nicolo's work - this is one of the most talked about small companies in the USA right now and their New York season is sure to only add to the buzz! THE GÖTEBORG BALLET WILL PRESENT TWO WORKS BY NICOLO FONTE IN A PROGRAM TITLED "STRAVINSKY +"
Premiering on 16 September and playing at the opera house in Gothenburg through 1 November, "Stravinsky +" features Nicolo's "Violin Concerto", a thrilling homage to neo-classical dance originally created for The Royal Ballet of Flanders in 2004, and the world premiere of Fonte's "The Waiting", to Stravinsky's masterwork "Le Sacre du Printemps". Nicolo Fonte's most recent creation, "It's Not About the Numbers", in collaboration with Aspen Santa Fe Ballet and renowned American sculptor James Surls, can be seen at the District Theater in Aspen, CO. July 21 - 22. See Nicolo Fonte's “braver still” danced by The Göteborg Ballet at Stockholm's Dansen Hus Theater April 6 - 8, 2006. “Re-Tchaikovsky” Suite, three sections from Fonte's acclaimed full-length on the life of Tchaikovsky, will be presented at the Dance Salad Festival in Houston, Texas, April 14 - 15, 2006. Six dancers from The Göteborg Ballet will travel to Houston to give American audiences their first chance to see a part of this breath-taking work. FONTE'S “RE:TCHAIKOVSKY” TOPS CRITICS' LISTS! Nicolo Fonte's collaboration with The Göteborg Ballet “Re:Tchaikovsky”, which premiered in March of 2005, enthused audiences in Sweden during its initial run (over 11,000 people saw it over the course of 14 performances) - and now it has been cited on two international “critic's best” lists for the last season. The full-length ballet, Fonte's first foray into large scale narrative work, was chosen by Ballet-Tanz International, a Berlin-based publication, as one of the season's 40 “Outstanding Productions”. In Dance Europe, a London-based magazine, the work was listed as one of several “Best Premiere (contemporary)”. Lead dancer Thomas Zamolo, Fonte's Tchaikovsky in the ballet, was also cited in the same poll as outstanding male dancer. Fonte can be particularly happy with this year's poll as another of his productions, “Almost Tango”, staged for The Australian Ballet was also cited as “Best Premiere (contemporary)”, in Dance Europe as well.